Researchers have genetically modified chickens able to lay eggs containing drugs against arthritis and some cancers. Medications are 100 times cheaper to produce when they are laid than when they are manufactured in factories. Researchers believe that over time, production can be increased to produce drugs in commercial quantities. Chickens do not suffer and are "pampered" over farm animals, according to Dr. Lissa Herron of Roslin Technologies in Edinburgh. "They live in very large pens, they are fed, watered and cared for every day by highly qualified technicians, and lead a rather comfortable life. "As far as the hen knows, he's just laying a normal egg, it does not hurt his health, he's just eclipsing it, laying eggs as usual." Scientists have already shown that goats, rabbits and genetically modified chickens can be used to produce protein therapies in their milk or eggs. Researchers say their new approach is more efficient, produces better returns and is more cost-effective than previous attempts. "Production from chickens can cost 10 to 100 times cheaper than factories, so we hope the overall manufacturing cost will be at least 10 times lower," said Dr. Herron. The biggest savings come from the fact that poultry houses are much cheaper to build and operate than highly sterile clean rooms for factory production. Many diseases are caused by the fact that the body does not naturally produce enough of a certain chemical or certain proteins. These diseases can be controlled with drugs containing the deficient protein. These drugs are synthetically produced by pharmaceutical companies and can be very expensive to manufacture. Dr. Herron and her colleagues have been successful in reducing costs by inserting a human gene – which normally produces protein into the human – in the part of the chicken's DNA involved in producing white in eggs chicken. After splitting the eggs and separating the white from the yoke, Dr. Herron discovered that the chicken contained relatively large amounts of protein. The team focused on two essential proteins in the immune system: one is IFNalpha2a, which has potent antiviral and anticancer effects, and the other is macrophage-CSF, currently being developed as a treatment stimulating the repair of damaged tissues. is. Three eggs are enough to produce a dose of the drug, and hens can lay up to 300 eggs a year. 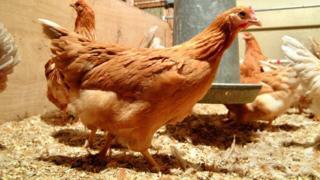 With enough chickens, researchers believe they can produce drugs in commercial quantities. The development of drugs for human health and the implementation of the necessary regulations will take between 10 and 20 years. 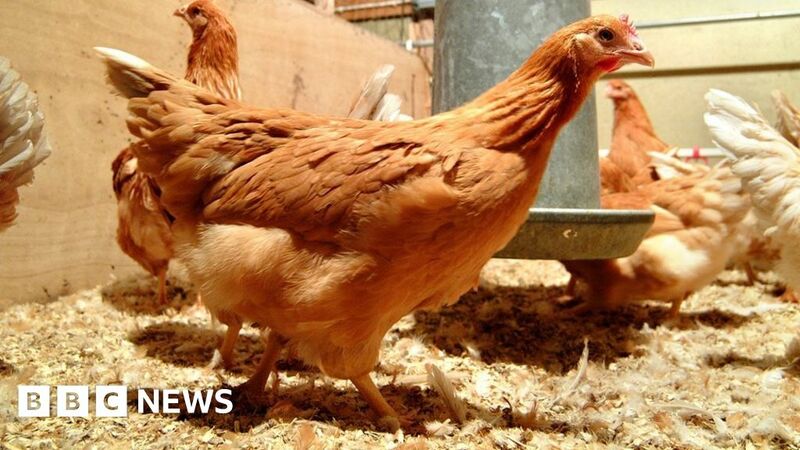 The researchers hope to use chickens to develop medicines for animal health. These include drugs that strengthen the immune system of farm animals as an alternative to antibiotics, which would reduce the risk of developing new strains of antibiotic-resistant superbugs. And there is potential for using the healing properties of macrophage-CSF to treat pets, according to Dr. Herron. "For example, we could use it to regenerate the liver or kidneys of an animal that has been damaged by these organs.The drugs that are currently available are a little too expensive, so we hope we can talk a bit more about it." Professor Helen Sang, of the Roslin Institute of the University of Edinburgh, said: "We are not yet producing drugs for humans, but this study shows that chickens are commercially viable for the production of proteins suitable for drug discovery studies and other applications in biotechnology. "